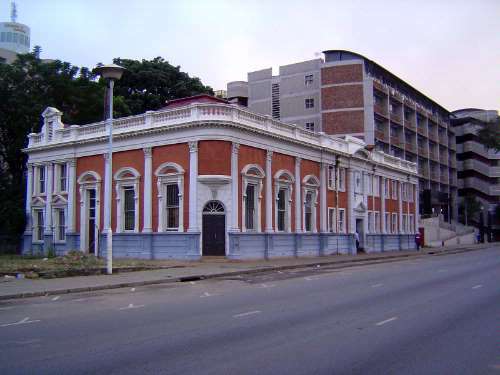 The Standard Bank building of 1899 was an exceptionally early departure from the wrought-iron norm. It was sold in 1911 to the BSA Company. It became the Charter House and in 1926 was enlarged for the Lands Department by another prominent architect, William D'Arcy Cathcart. Known as the Chaplin Building from 1926 to 1985, it is now called the Mashonganyika Building, recalling one of the leaders of a rebellion in 1896.